I’ve been trying to write something about the loss of my sister’s horse for a month now, as words have escaped me. I finally sat down and just did it. Horses come in all shapes and colors, and there’s likely one that will be pretty to someone. 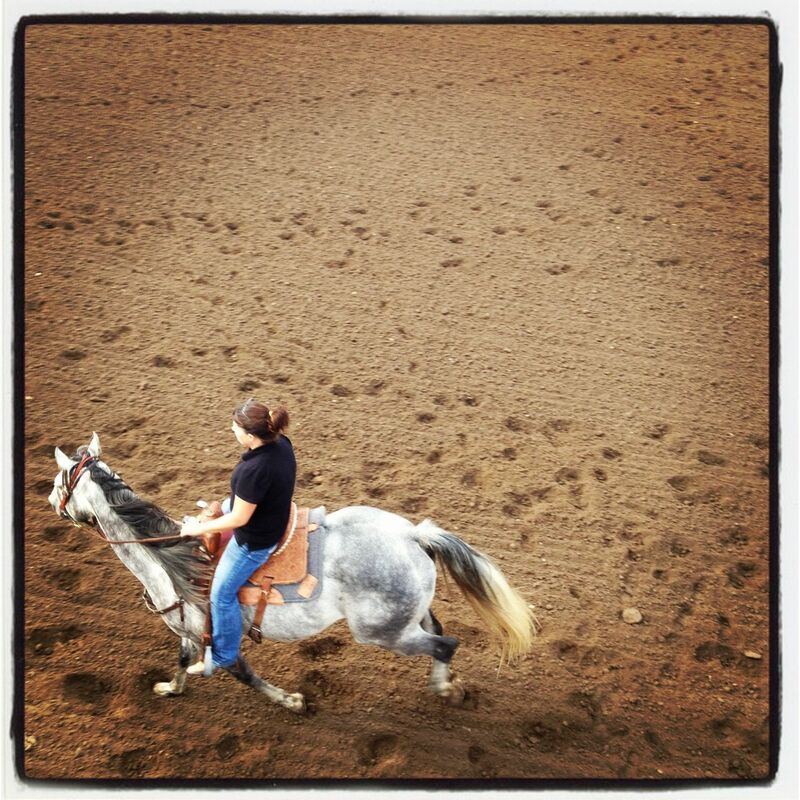 My sister got a gray gelding probably 7 or 8 years ago, and he was the prettiest gray I’d seen in a long time. He always managed to grow the longest mane and tail. Granted it was a pain to deal with at times, but it was long and flowing. His gray coat changed colors several times throughout the year, almost as if he was a chameleon. Okie spent some time on the race track and a ranch. He was the kind of horse you could climb on and ride with no issues. When my horse had colic surgery in 2006 I borrowed my sisters horse Star first so I had something to ride and occupy my time. Okie later came to stay with me and I really enjoyed getting to know him and ride him. You could let him trot all day and never get wore out. Sure he did have his quirks, but all horses do. One evening mid-March, I got a text from my sister that they had lost Okie. Stopped me in my tracks. My reply, “What? Why?” I was shocked. When I learned of the details, I was heart broke. Okie was such a kind, gentle soul. It was good to know he didn’t suffer long, and I hope he’s found his way to greener pastures where he can run – and that sucker could flat run – and be free once again. It was a good ride Okie, we will miss you! 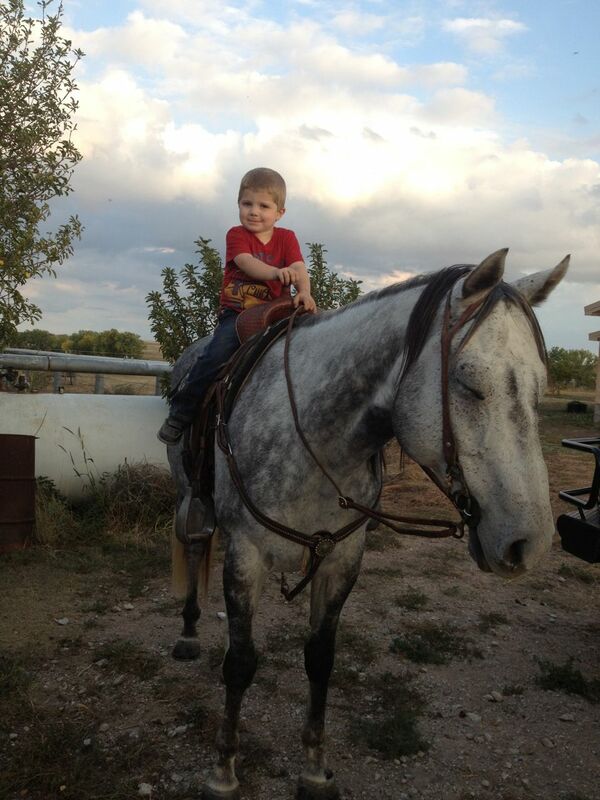 My sister’s son, Klayton and Okie in September 2012.